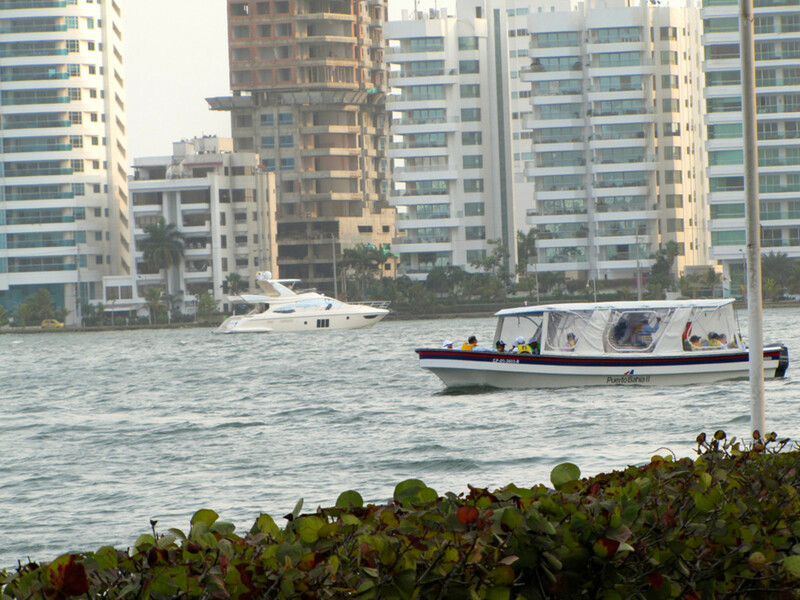 CARTAGENA, Colombia — The marine industry is outgrowing the infrastructure in Colombia, leading the government to solicit proposals from companies worldwide for the construction of Marina San Andres, a 151-berth marina that officials hope will include amenities such as a shipyard and shopping mall. “The government is open to receive proposals now,” Miguel Angel Franco Hossain, senior tourism specialist with Proexport Colombia, the government group charged with increasing tourism and exports in the country, told Trade Only Today during a press trip. To respond to the growing demand, the government has developed a nautical tourism plan to help develop infrastructure and remove barriers that have inhibited growth in the past. The country is below the hurricane zone and is a natural stop for cruisers. The country is trying to maximize the opportunity of travelers moving from the East Coast to the West Coast who need to stop somewhere. People come from the Caribbean islands and the region would like position Port Buenaventura as a stopping point as well as a place for exporters to connect directly with the Southeast Asian market. The city, having the most efficient port in the country, has been honored as the best Caribbean port for six years in a row, Hossain says, with no wind or tide in the bay, but also with very deep waters. “We have access through the canal that allows you to get bigger boats here,” he said. That gives the city an edge because it already possesses the ability to accommodate large ships, he says. Although the Edurbe dock in Cartagena de Indias can receive megayachts, the city doesn&apos;t have an international marina that can accommodate this type of vessel. However, there are some private and government initiatives from the Nautical Tourism National Plan that aim to improve the marinas infrastructure in the near future. Marina owners say the development can’t come fast enough. Club de Pesca in Cartagena is the oldest marina in the region, and its owner says the 200 private slips are filled to capacity, leaving only 20 for transients. Although 15 years ago most of the business there was from visitors, now the slips are filled with local boat owners of center consoles between roughly 25 and 45 feet. The Manzanillo Marina Club is also completely full, president Mauricio Lemaitre Carbonell said Sunday at the Cartagena International Boat Show. He has another project in the works on 2 acres of land that would add 600 slips, but says he is having trouble getting the proper permissions to make it happen. Andres Cerda Nieto, of the Cartagena Chamber of Commerce, said the city is working to address the hurdles as quickly as possible now that the government has made nautical tourism a priority. The chamber is also working to identify the hang-ups and work to make things move more quickly.